WHSAD’s ongoing partnership with the Greenpoint Chamber of Commerce, the Greenpoint Youth Court, and Groundswell has resulted in a public art project. 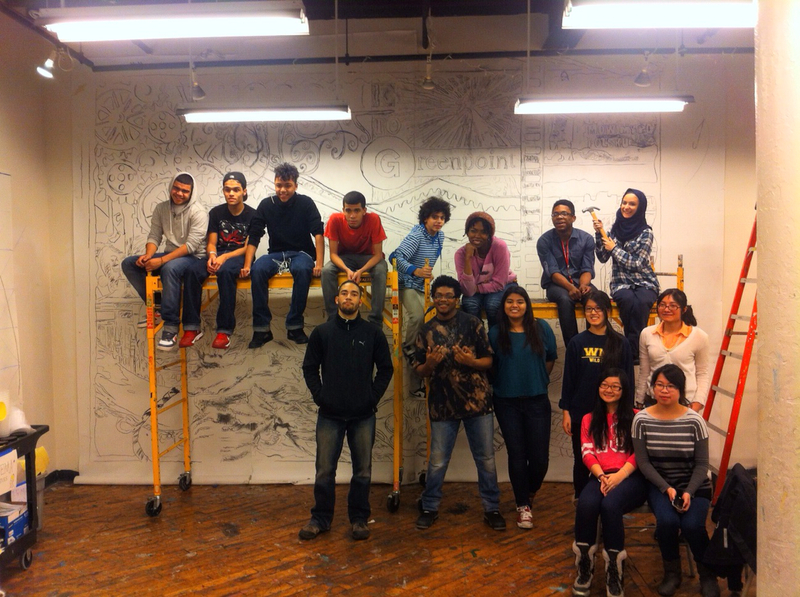 Students are in the final stages of completing the mural which will be on display in Greenpoint. Last week students laid out the design concept to begin the painting of the mural. The design concept is a result of countless hours of research, visits to Greenpoint, and discussions with community partners.